This article is about DUCT cleaning, not duck cleaning! OK, I just couldn’t resist the graphic puns, but after over 27 years of being involved in the HVAC hygiene industry, I think it’s fitting. So, just what IS duct cleaning, and why should you be considering it as part of a proactive maintenance program for your home or commercial space? “Duct Cleaning” refers to the cleaning of heating, ventilation and cooling (HVAC) systems, including their associated air ducts and components. HVAC systems that supply air to occupant spaces generally incorporate some form of filtration to remove varying degrees of airborne debris and contaminants from the delivered air. Here’s the thing about many of the filters being used on many of the systems out there: They’re not very good. If you can hold a clean filter up and look right through it (like with a typical 1” hardware store fiberglass variety shown on the previous page), it isn’t stopping most of the fine particles you’re likely concerned about breathing in. In most cases, some debris will eventually accumulate within your HVAC systems, filters or not. Most systems have their filtration located near the blower fan in the air handling unit, although some smaller residential systems have a filter located over a central return air grill instead. In any case, debris builds up over time. The dust and debris that gets drawn into HVAC duct work and the air handling unit itself is compounded by moisture (both moisture that’s drawn in from the ambient environment and what is undesirably carried-over from any AC cooling coils and drain pans), as well as a deterioration of internal insulation, gasketing, and metal components. The presence of corrosive chemicals, biological contaminants or other adverse environmental conditions can further serve to affect the hygiene of a building’s HVAC system(s) and contribute to degraded indoor air quality (IAQ). 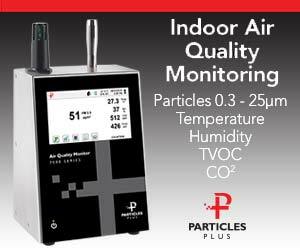 The Solution to Indoor Air Pollution? An industry’s got to know its limitations, too. Air duct cleaning will not solve all the IAQ problems in a building, despite the claims from some practitioners. It’s only one piece in the puzzle…perhaps an important one, but none-the-less, just a piece. I see this card played all the time in both the commercial and residential markets by duct cleaning service providers that are over-selling their service. Responsible, knowledgeable firms don’t make excessive benefits claims, period. While I’m on that rant, if I see one more residential duct cleaning promotional piece with a picture of a dust mite in it, I’m going to lose it…seriously. It’s like another bad Kevin Bacon movie, only with the tremors in your HVAC and wallet. Cleaning your duct work doesn’t rid your building of dust mites, since they don’t live in your duct work! As a consumer, when you see dust mites in the marketing–RUN AWAY! Also, when you see group-on-dupe-on ads for $49, $99, $149 or similar duct cleaning “specials”–RUN FURTHER AWAY. There’s no way you can get even marginal quality service work done for these bait prices. Duct cleaning is actually somewhat of a misnomer. Unlike the term says, duct cleaning should include the entire system: Grills/diffusers, air handling unit (including fans, coils, and filter compartments), control devices (dampers, turning vanes, mixing/VAV boxes, etc. ), and the duct work. I regularly get RFPs that only call for cleaning small portions of an HVAC system during commercial renovation projects, as if the debris intentionally confines itself to specific sections of duct work (the same physics principals that keeps cigarette smoke out of a restaurant’s non-smoking section?). Partial cleaning (i.e. leaving out portions of the work) generally only yields partial benefits of having the service performed. Click HERE to read the entire article in the March 2015 issue of Healthy Indoors Magazine.